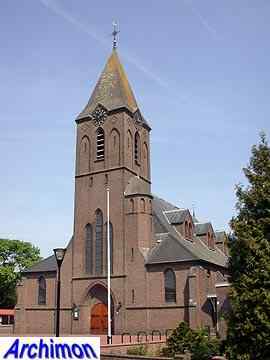 The history of Nieuw-Heeten pretty much begins with the construction of its church. 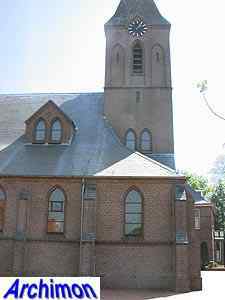 Until 1923, Nieuw-Heeten (called Achterhoek then) belonged to the parish of Heeten, the church of which was at a distance of some six kilometers. 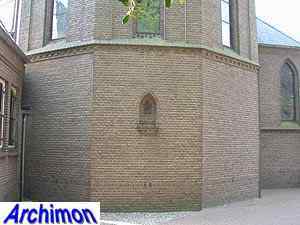 First attempts at getting a seperate church were made in 1874. 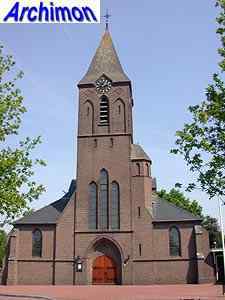 Finally, in 1922 work began on the church, which was built on a piece of land located at the borders of the Raalte, Hellendoorn and Holten municipalities. 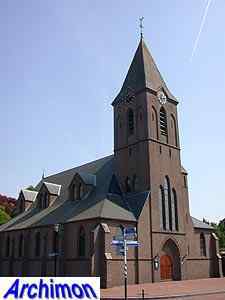 When the church was finished the village was officially founded and named nieuw-Heeten. 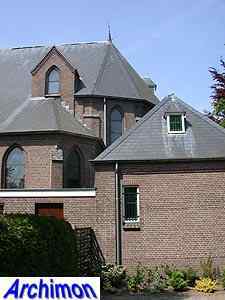 The church was designed by W. te Riele and is in simple neo-Gothic style. 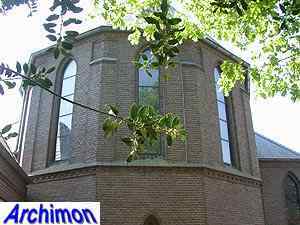 There is some disagreement about the exact nature of the church. Sometimes it is called a hall-church, but this classification can easily be dismissed since the central aisle is higher than the side-aisles on the outside as well as on the inside. Of more importance is the question whether this is a pseudo-basilica or a basilica. The three-aisles are covered by a single roof. 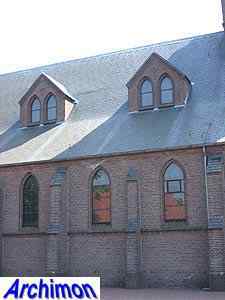 Although a clerestorey is missing, the nave is illuminated by three dormer windows on either side. 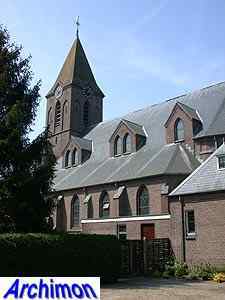 At the front of the church is a tower, which is flanked by the ends of the side-aisles. 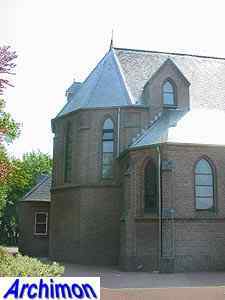 The tower consists of three segments and has a stair-turret at its side. At the east side is the choir, which is flanked by the polygonal closures of the side-aisles.